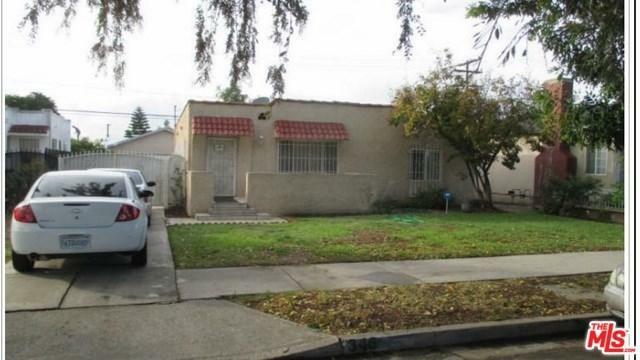 2Bd/1Bath house with a recently remodeled/updated kitchen and laundry room, Some windows have also recently been replaced.The appliances in the kitchen and laundry room are NOT part of this sale, however the seller is willing to include it for a negotiated higher price. The property has a detached two-car garage, along with a man-cave attached to the garage. The man-cave has an un-permitted half bath. Seller states there is copper plumbing, However buyer will be responsible for verifying any and all property conditions during their inspection period. Buyer will have to evict one of the current tenants AFTER close of escrow. DO NOT CONTACT OCCUPANTS , Appointments only do not disturb tenants. One bedroom will be unable to be viewed due to uncooperative tenant. All other areas of the property, inside and out, are available to be seen. No FHA offers will be accepted. Cash offers and Conventional fin. only. Seller may decide to not counter any submitted offers!